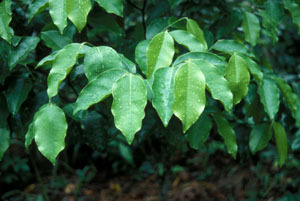 Aquilaria trees grow in the tropical rainforests of Asia and produce agarwood inside the tree. 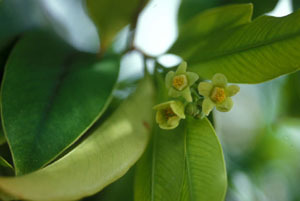 Old growth trees are rare due to extensive harvesting by collectors of agarwood during past centuries. 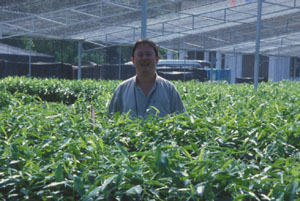 Henry Heuveling van Beek, Director of The Rainforest Project Foundation (TRP) and cooperator in our research, standing in the TRP nursery among Aquilaria seedlings. 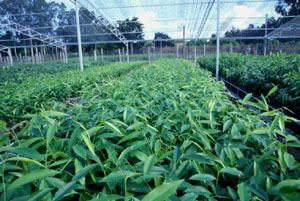 Hundreds of thousands of seedlings are being grown and planted for future agarwood production. Trees planted grow very fast with good forest management practices. 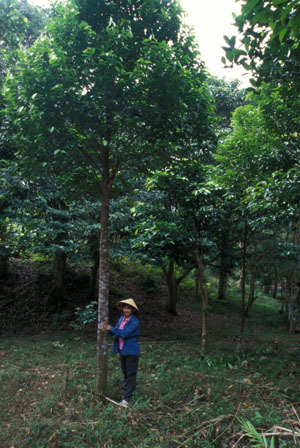 This Aquilaria tree growing in Vietnam is 3 years old. 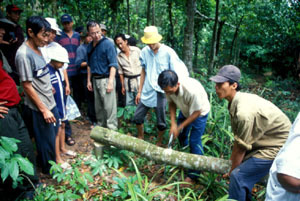 Tree being harvested in one of our experimental plots after inducing agarwood formation. Cross section of a tree from one of our experiments showing dark regions of agarwood formed inside the tree. 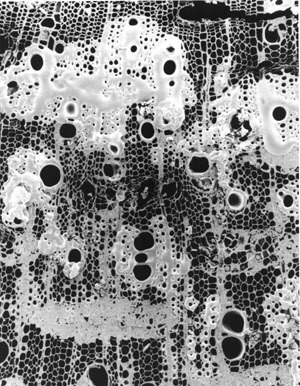 A cross section of an experiemental tree with agarwood observed by scanning electron microscopy showing copious amounts of resin formed in the wood cells. 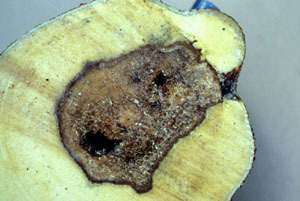 Aquilaria has an unusual anatomy and specialized cells within the xylem produce the resin. 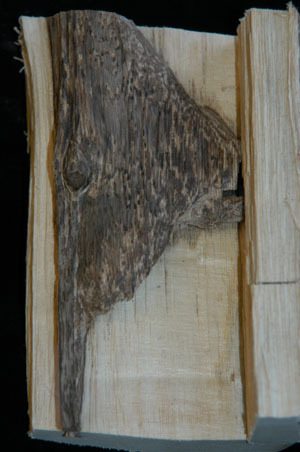 A longitudinal section cut from an experimental tree with some of the sound wood carved out showing the column of agarwood that formed inside the tree. 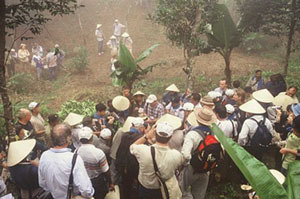 Professor Blanchette showing conference delegates results from experiements to produce agarwood during the First International Agarwood Conference field trip at Nui Guai Mountain, Vietnam. 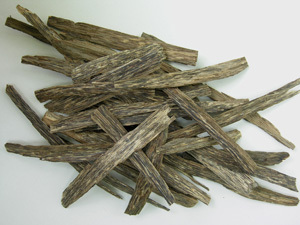 Cultivated agarwood produced by rural farmers in Vietnam using our technology is now available and can be enjoyed by people worldwide. 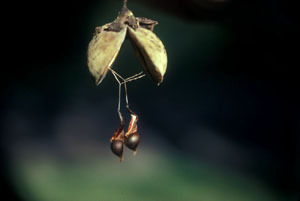 ©2006 Robert A. Blanchette. All Rights Reserved.